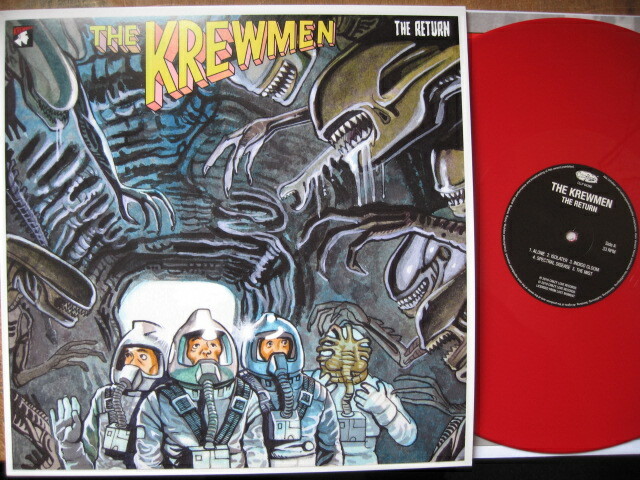 Produktinformationen "KREWMEN - The Return LP RED ltd."
Red vinyl + printed inlay! 105 numbered copies made! “This is a new song. You can all get yourselves out and buy it in about two months or something“, Tony McMillan announced before playing an unknown „for the first and last time“ song to an enthusiastic audience in Essen, Germany on 10 February, 1996. It was to be their last performance. While a video of this “Unknown Song” received quite some attention among Krewmen fans, until recently, nobody knew that a recording has existed in the vaults of Lost Moment Records all this time, including the mysterious song, actually named Make Your Move. The recording proved to be a demo tape and its quality left a lot to be desired. And that’s an understatement. Hence, the project was about to be shelved. However, the prospect of an unreleased Krewmen album is too good to be given up upon, right? So off it went to a studio, where hours and hours of painstaking work were invested into rescuing this rare recording, with results anxiously awaited…and expectations exceeded. It’s not an audiophile’s dream but it’s an utter delight given the original sound quality. So here it is, The Return by The Krewmen. 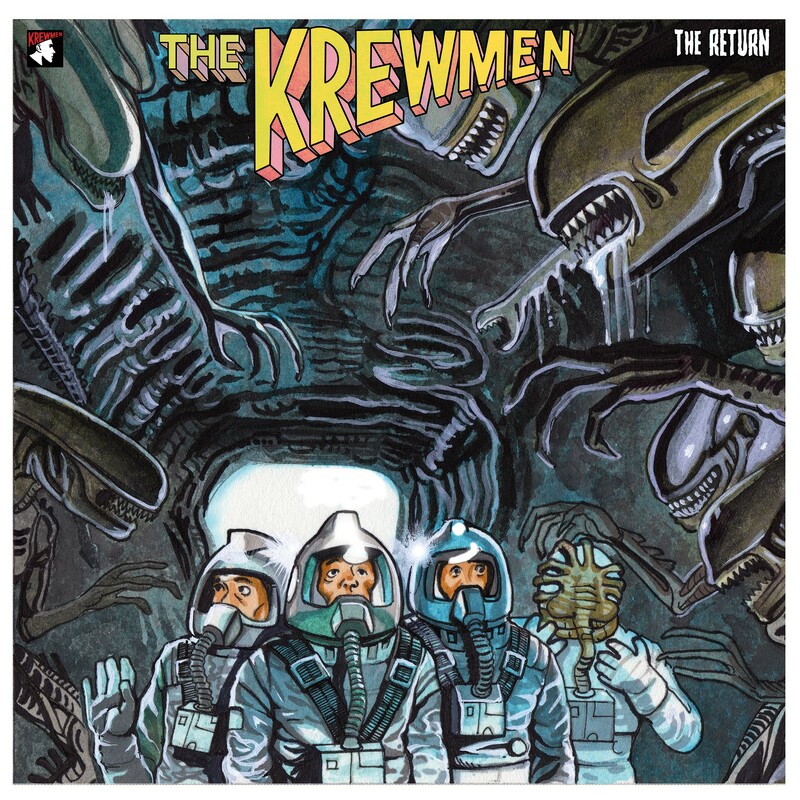 Weiterführende Links zu "KREWMEN - The Return LP RED ltd."
KREWMEN - Klassic Tracks LP GREEN ltd.